But with new energy technologies, we’re gaining the upper hand—and we have a formidable weapon on our side. As distributed solar power gets better and cheaper, we’ve been handed a metaphorical hammer of Thor: we’re literally pulling energy from the sky and into our homes, creating electricity out of seemingly nothing—and in doing so we’re hastening the end of a world powered by fossil fuels. What's happening when you tap into the power of solar—more or less. Compared to distributed solar—generated locally from our own rooftops and from community solar farms—the way we’ve powered our lives for the past 100 years or so seems altogether antiquated. The majority of our electricity today (63 percent) comes from fossil fuels (mainly coal and natural gas), burned in the thousands of large power plants across the country. The electricity then travels along a vast network of high-voltage transmission and distribution lines, and on average 5 percent of it is lost before it even reaches our homes. Dispatchers engage in a complex logistical shuffle as they deliver electricity from a dizzying array of sources. With so many variables to account for, the price we pay for our daily power fluctuates widely depending on factors like fuel costs, power plant operations, the transmission and distribution system, weather conditions, and overall energy regulations. With distributed solar, the picture is profoundly different. Because distributed solar is local energy, the electricity never has to travel far from its source, eliminating a lot of the complexity in generation, transmission, and distribution. With rooftop solar, the electricity generated from your panels might travel a few hundred feet to your outlets and switches. In the case of a community solar farm that powers a large apartment or a whole neighborhood, the pathway might be slightly longer, but still nothing like the extensive grid networks we’re used to seeing. Consumer independence: Because the sun’s energy is essentially “free,” by investing in distributed solar anyone can become their own power plant. By not being completely beholden to an outside power authority, you get the satisfaction of knowing that you're increasing your control of your own energy destiny. Annual energy costs: Residential solar is the gift that keeps on giving. Once you’ve invested the initial upfront cost, you’re essentially locking in your energy costs at a low constant rate. Over a 20-year period, the estimated savings from solar can range from $10,000 to almost $30,000, depending where you live. Pollution: Solar brings big savings for our air, water, and health. 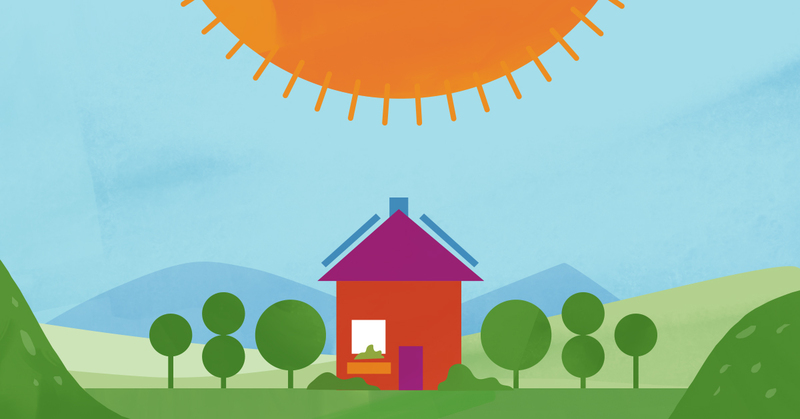 The average 6 kilowatt residential solar system in the U.S. reduces about 6.3 metric tons of carbon emissions annually, roughly equivalent to taking one fossil fuel automobile off the road each year. Energy storage: Although most distributed solar systems today are still connected to the grid, new battery storage systems make it possible for households with solar panels to store their excess power for use at times when the sun doesn’t shine, reducing and even eliminating reliance on the grid. Resilience: During a power outage related to a storm or extreme weather event, a solar photovoltaic system with battery storage can be a cost-effective option for keeping the electricity flowing, even compared to running a diesel generator. Energy security: With distributed solar, you aren’t subject to the physical threats to the grid from cyber and terrorist attacks, and you don’t have to rely on energy purchased from potentially unstable locations, such as the Middle East. By “voting solar” with your wallet, you can step out from under the utility monopolies and oil and gas cartels. None of us are omnipotent, but we can all use our power as consumers to move our energy system from an endless cycle of mining, drilling, refining, and polluting to one that requires zero fuel and results in zero air pollution and emissions. In making the transition to distributed solar, we can seize the power of Thor’s hammer and leave behind an outdated, inferior 20th century energy system.